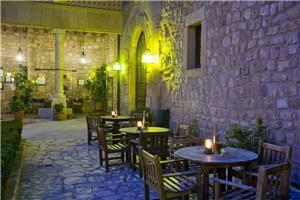 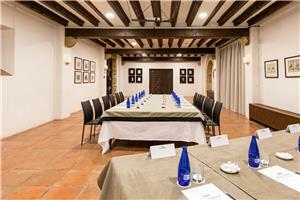 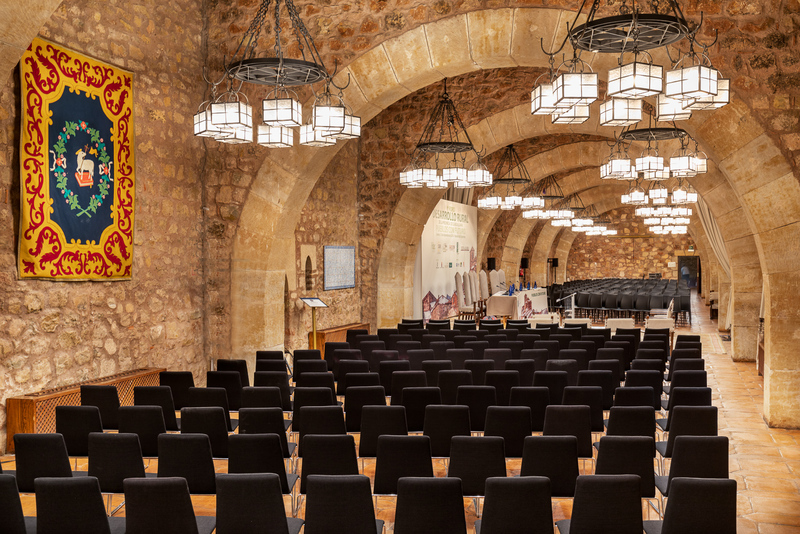 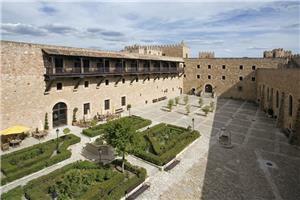 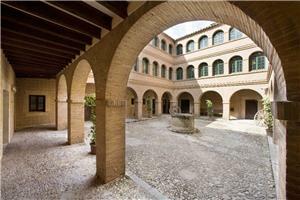 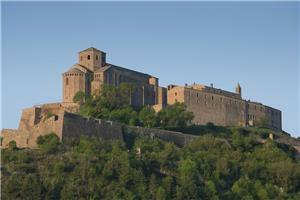 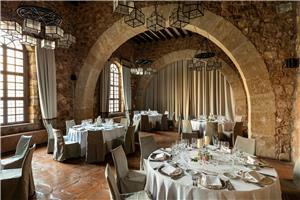 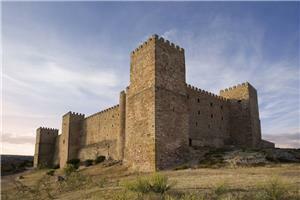 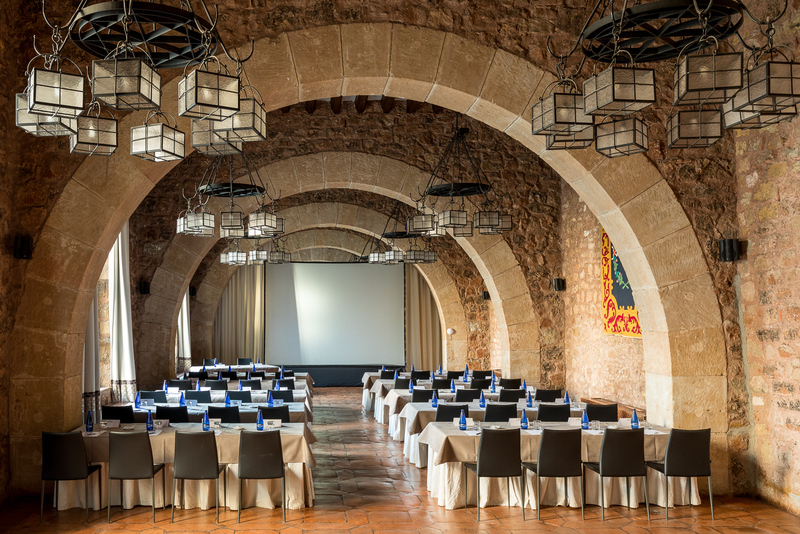 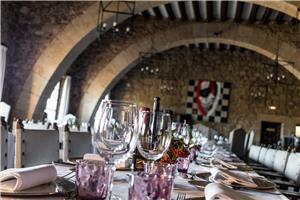 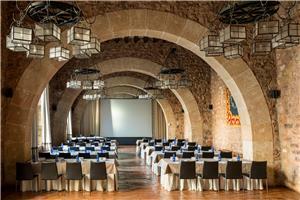 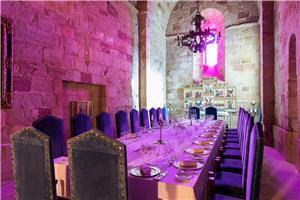 The Parador de Sigüenza is an imposing medieval castle situated in an Arab fortress built atop a Roman settlement. 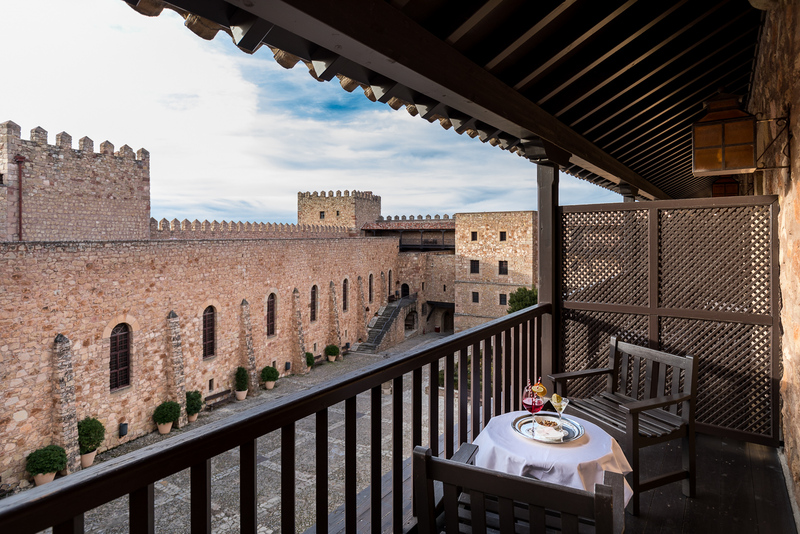 These are the perfect accommodations, inviting you to enjoy an ancient city, where the stones speak of history, tradition and legend. 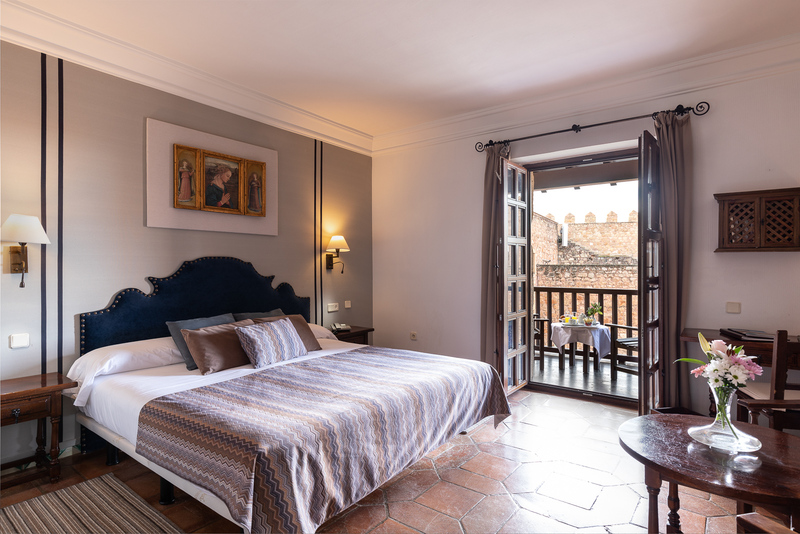 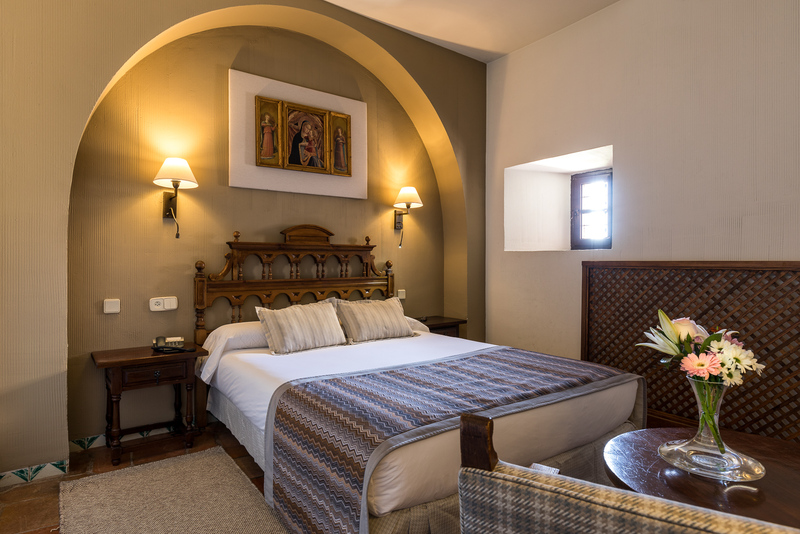 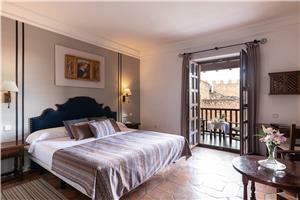 The hotel's traditional Castilian furnishings are displayed with fine taste in the spacious, welcoming guest rooms. 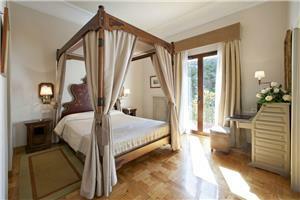 Some feature canopy beds that will make you feel as if you are lodging in a real palace. 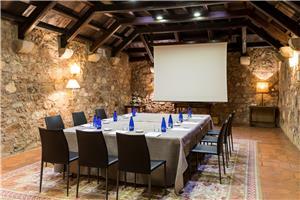 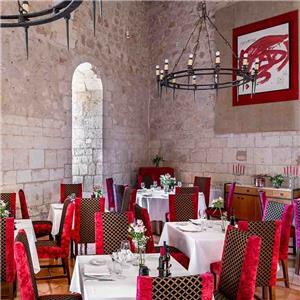 Within the thick stone walls there is a cobbled courtyard, a stately dining room and function rooms which are ideal for meetings and celebrations. 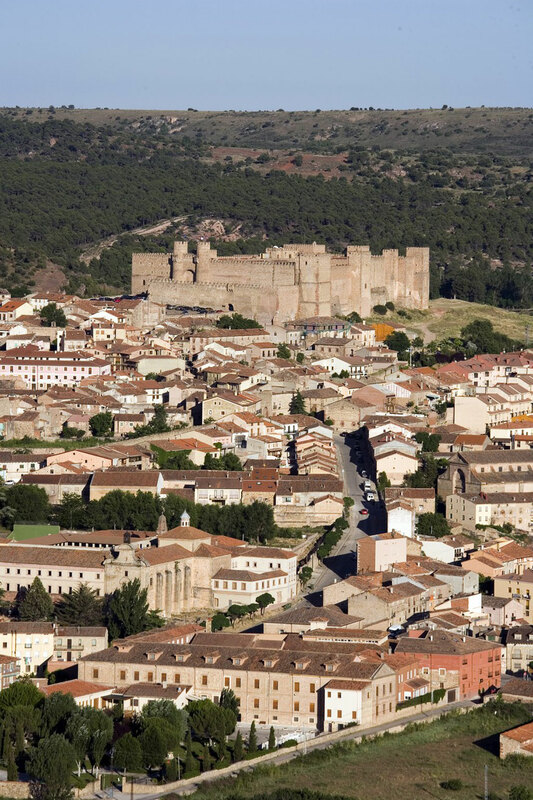 In Sigüenza you will enjoy a real journey back in time as you visit the cathedral, with its famous sepulcro del Doncel (tomb of the youth), chapels and cemetery. 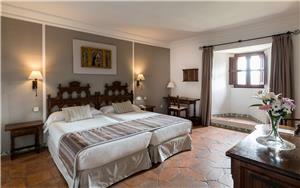 You can stroll through historic neighborhoods, medieval Travesaña and the baroque neighborhood of San Roque. 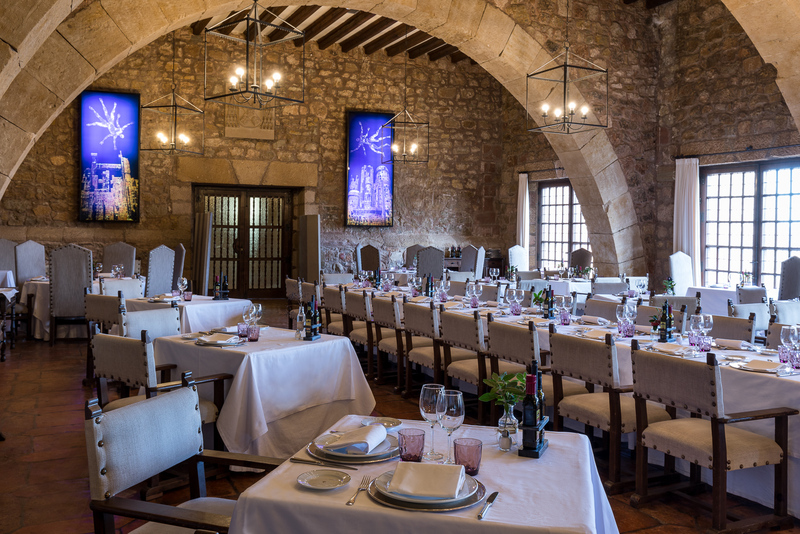 There are a number of typical small Castilian villages located throughout this large municipality, where traditional customs interact with rural architecture and nature, and where ancient taverns coexist with sophisticated restaurants. You can also enjoy the city's natural surroundings. The Río Dulce Nature Reserve, the Pinar de Sigüenza (Pine Wood of Sigüenza), large Mediterranean forests, holm oak and oak woods, valleys carpeted in green, home to the griffon vulture, peregrine falcon and eagle owl, all offer up a one-of-a-kind splendor any time of year. 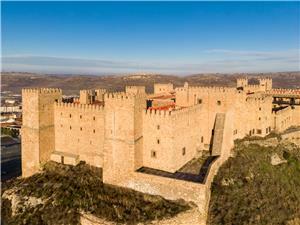 Surely you won’t miss a chance to visit? 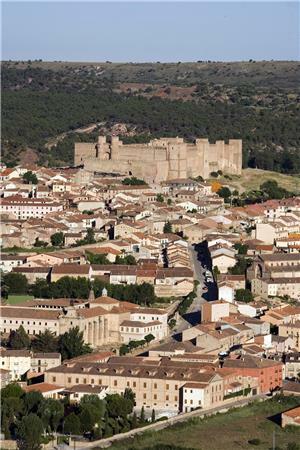 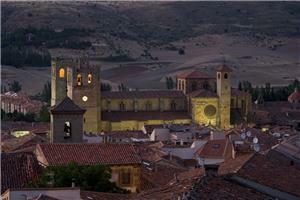 Sigüenza is easy to reach from Madrid and Zaragoza via the N-II. 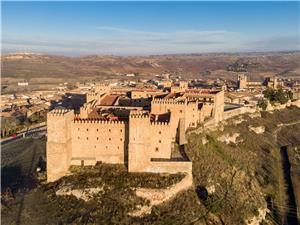 At km 104, take the exit for the CM-1101, 23 km from Sigüenza; or take the Alcolea exit at km 136, 20 km from Sigüenza. 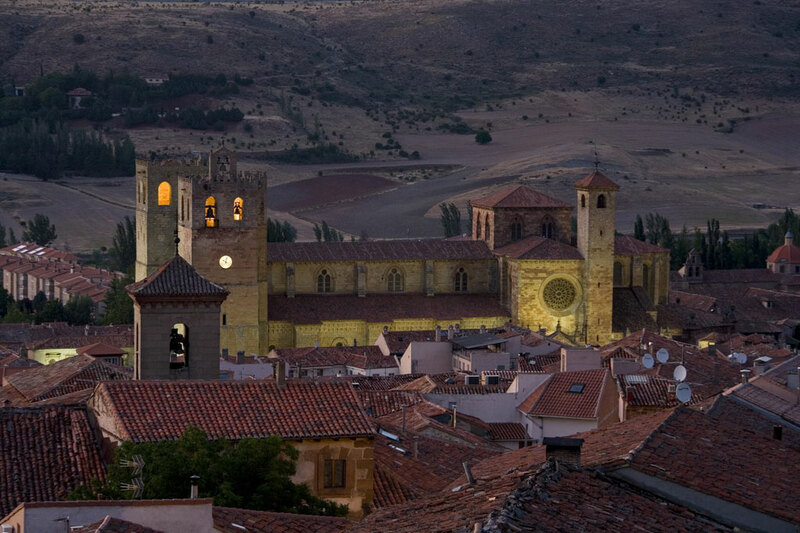 In Sigüenza you will enjoy a true journey back in time as you visit the cathedral, with its famous Sepulcro del Doncel (Tomb of the Youth), chapels and cemetery. Explore historic neighborhoods, including medieval Travesaña and baroque San Roque. 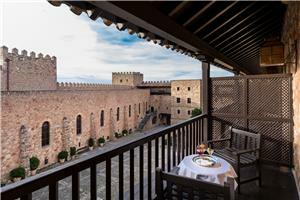 There are a number of typical small Castilian villages located throughout this large municipality, where traditional customs coexist with rural architecture and nature, and age-old taverns stand side-by-side with sophisticated restaurants. 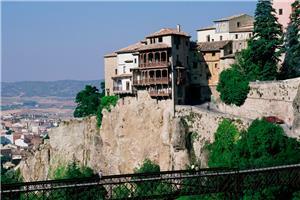 You can also enjoy the city's natural surroundings. The Río Dulce Nature Reserve, Sigüenza Pine Wood, large Mediterranean forests, holm oak and oak woods, and valleys carpeted in green, home to the griffon vulture, peregrine falcon and eagle owl, are all incredibly gorgeous any time of year. 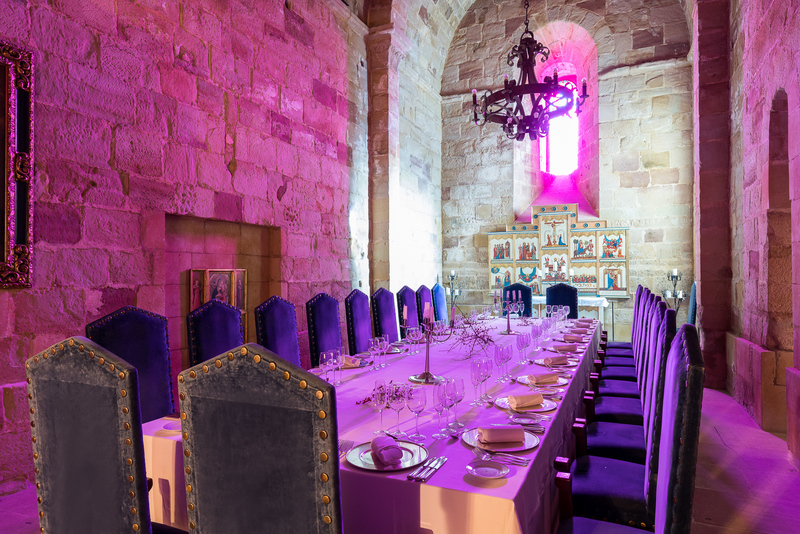 Surely you won’t miss a chance to visit? 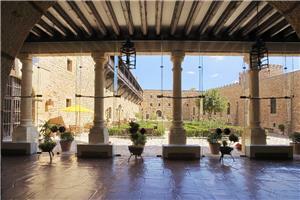 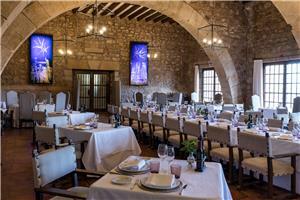 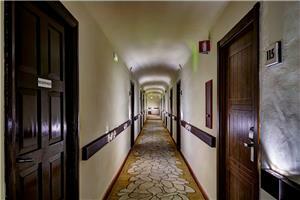 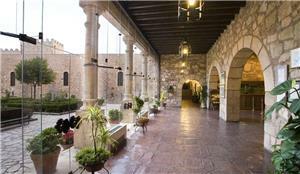 We enjoyed our stay and would recommend this Parador to family and friends. One of our favorite Paradors! 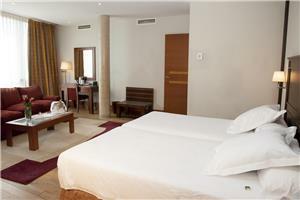 Only suggestion is to be more generous with the hand soap.We only had one bar. 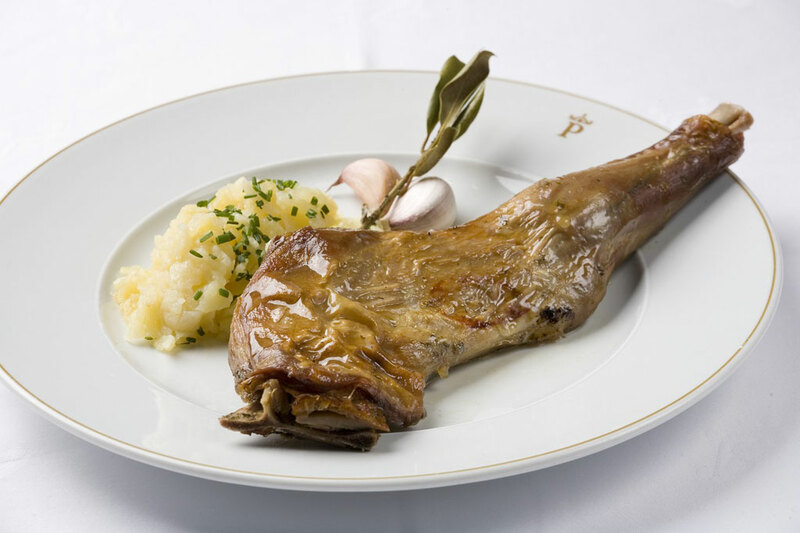 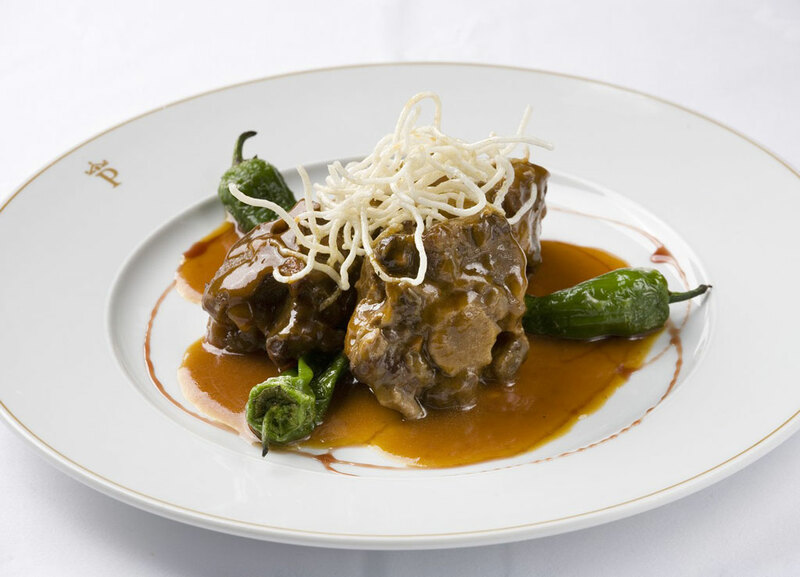 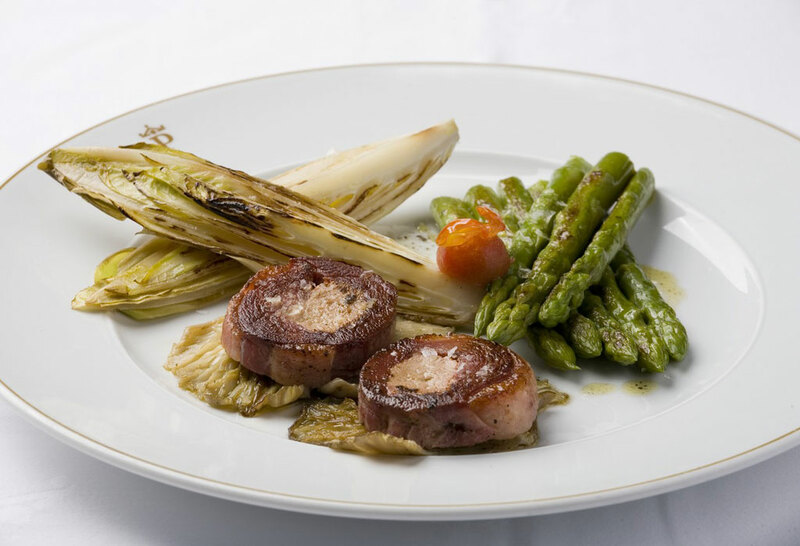 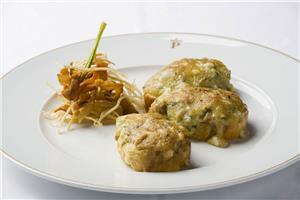 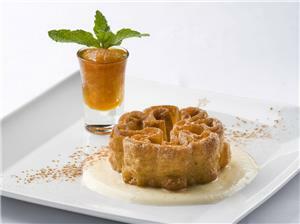 Travel through Spain and experience the culture and gastronomy Spain has to offer.